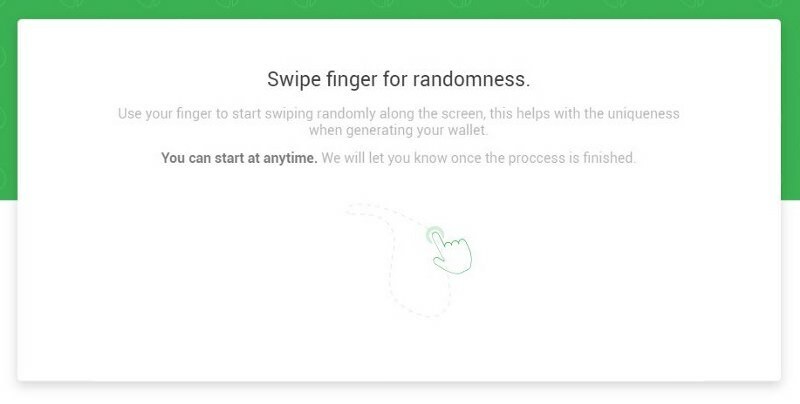 Swipe finger (or mouse) for randomness Keep Swiping! 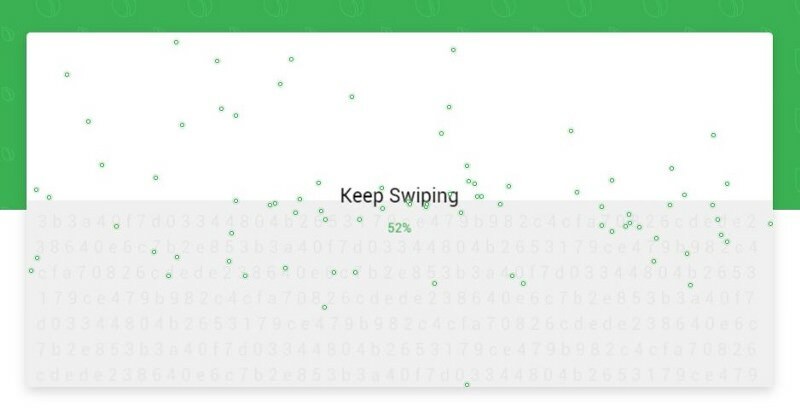 Once you have moved the mouse enough, the wallet will be generated and you will be presented with the public and private key for the new wallet. 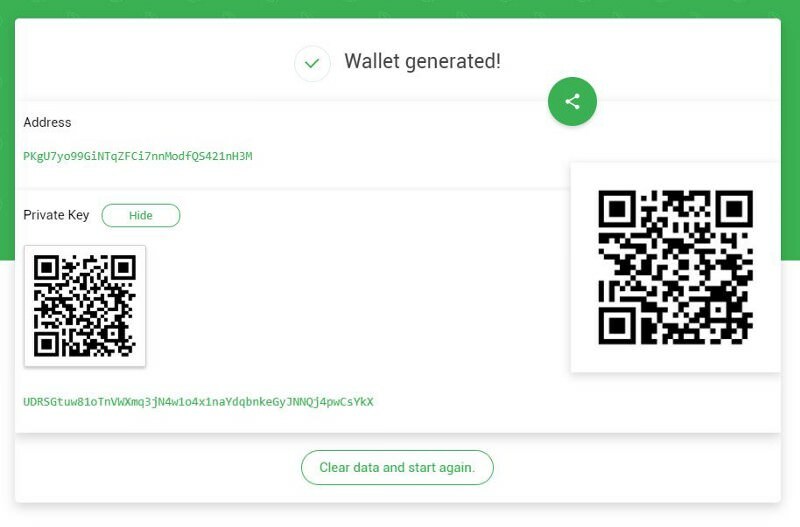 To export the wallet, click the green share icon on the left side of the QR code. You will then be presented with the options displayed below. Save.txt locally -This option will download the wallet as a text file. Copy address/priv. key to clipboard -This option will copy the address/priv. key to a clipboard where it can be pasted. Make sure your system is clean and secure before exposing this information to potential threats like keystroke loggers. Send via email -This option will allow you to send the wallet information via email. Save JSON data will -This option will download the wallet information in JSON format. Paper Wallet (print) -This option will open a print dialogue from which the wallet can be printed or saved as a PDF. Paper wallets provide physical security and backups for Peercoins that are to be left in cold storage. This concludes the tutorial on the paper wallet generator. 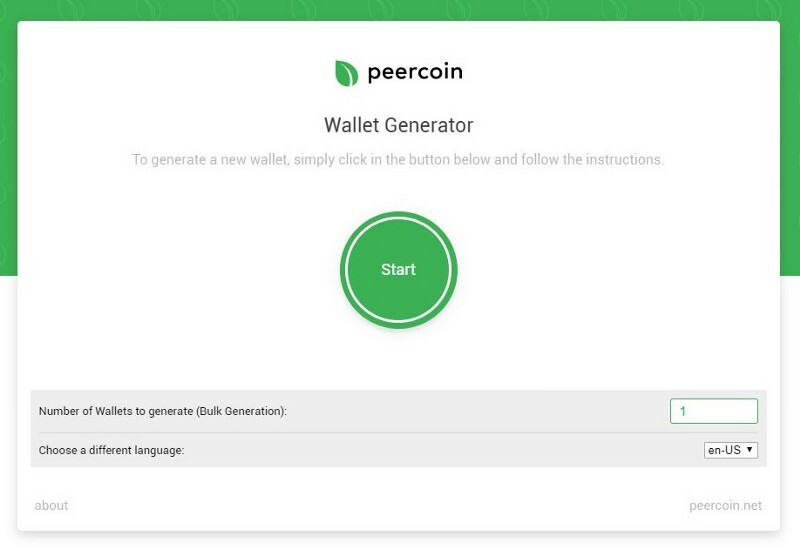 This platform provides extra security for those who wish to keep their Peercoin in a safe and physical location.